A great display of scalenohedral Lavender Calcite, frosted with a secondary calcite coating. 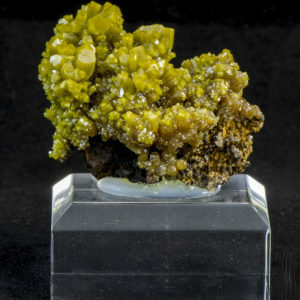 From the classic locality of Santa Eulalia the quality, size and condition of this piece make it an outstanding representation of Calcite from this district. 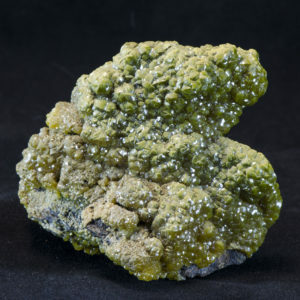 Although much Calcite comes from Eulalia, most of the soft calcite specimens are damaged in their extraction and handling. 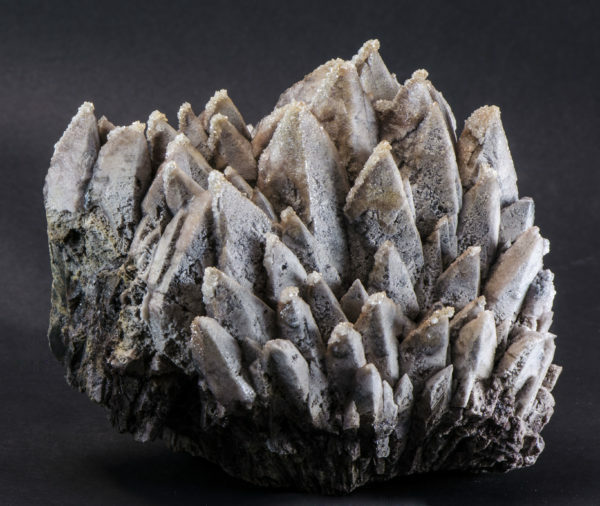 Our representative spends time in the dangerous state of Chihuahua meeting with miners and passing on flats and flats of specimens until he finds flawless specimens with good luster and colors. This is one such piece.